About us – We are a team of professionals passionate about our work, working to develop the maximum potential of Vivencia Dehesa. We specialise in regenerative agriculture, environmental work and education, ornithology, landscaping, the cultivating of aromatic plants and the care of different species. We strive every day to attend to the necessities of this extremely special pastureland. 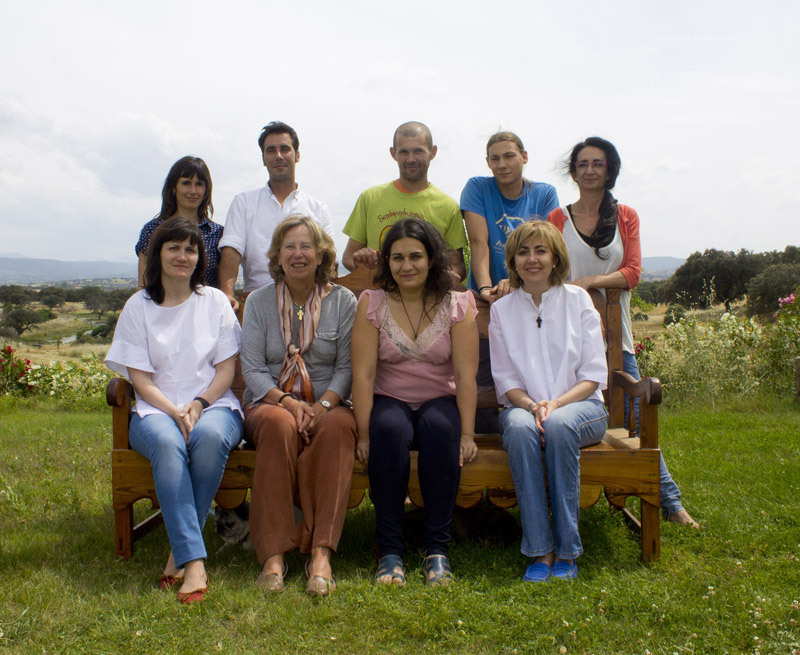 Our extraordinary team includes, amongst other professionals; an Environmental and Landscape Technician, an Environmental and Ornithological Technician, a Chemical Technician, a Political Scientist, a Tourism Professional, a Professional of Herbal Medicine, a Clinical Aromatherapist, and a Specialist in Agricultural Biology and Permaculture with international experience. ‘Vivencia Dehesa’ is growing and developing due to them. ‘Vivencia Dehesa’ coordinates and hosts courses, activities, environmental education workshops and investigation projects. We organise personalised ecotourism routes, bird watching, nature photography, tracking wildlife and a program to reduce stress for companies and groups. We create with care the best 100% natural cosmetic skincare and leather-care products for sale.